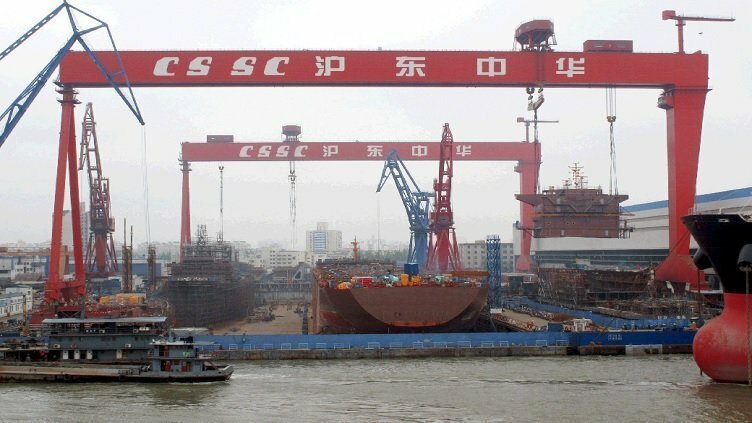 China State Shipbuilding Corporation (CSSC), one of the two major state-run shipbuilding conglomerates in China, has announced that subsidiary yard Waigaoqiao Shipbuilding has reached an agreement to transfer its 36% shareholdings in Jiangnan Changxing Heavy Industry to Jiangnan Shipyard Group for a price of RMB539m ($85.6m). Following the share transfer, Jiangnan Changxing will no longer be a part of CSSC’s listed assets. According to CSSC, the move will help the company’s listed platform to improve its financial status as Jiangnan Changxing have been suffering huge losses in the past two years. CSSC is making efforts to help its listed platform get back to profit. Last week, the company issued a warning of delisting following two consecutive years of losses. According to Chinese listing rules, companies that register losses in three consecutive years will be delisted from stock exchanges.